Lisa concentrates her practice on all aspects of trust and estate matters, including estate planning, estate administration and trust and estate litigation. She advises individuals and families on multi-generational transfers of assets, such as closely-held business interests, marketable securities, real estate, tangible personal property and insurance policies. Lisa prepares a variety of estate planning documents, designed to achieve her clients’ objectives in a tax-efficient manner, including wills, revocable trusts, dynasty trusts, insurance trusts, defective grantor trusts, qualified personal residence trusts, grantor retained annuity trusts, asset protection trusts, and charitable trusts. She advises clients on trust funding, whether through direct or formula gifting or leveraged sales. 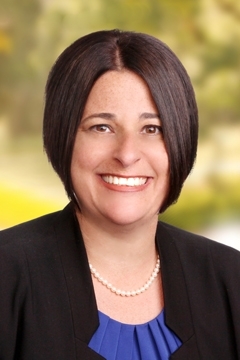 In addition, Lisa represents beneficiaries and fiduciaries in all aspects of the administration of trusts and estates, including probate proceedings, post-mortem planning, preparation of gift, generation-skipping transfer, estate, and inheritance tax returns and final settlement of trusts and estates. Lisa has also been involved in a variety of trust and estate litigation matters, including formal and informal accountings, will contests and proceedings against trustees. She has experience drafting complex settlement agreements related to these matters. Prior to joining Berkowitz Lichtstein, Lisa was an attorney in the private client services department of a large, international law firm.